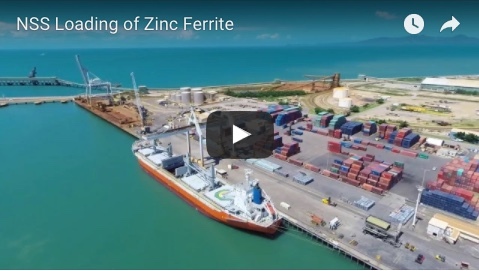 Regional Queensland’s largest supply chain management provider has strengthened its commitment to innovation and revolutionised stevedoring by adopting a new form of technology, Rotabox™. NSS recently integrated operations with the award-winning lightweight container rotator technology, which is ideally suited to loading bulk products into geared vehicles, boosting efficiency in excess of 200 tonnes per hour, per hook. “The Rotabox™ technology is a stand-out in terms of performance, sustainability and efficiency,” NSS general manager Chris Ullett said. The vessel loading solution is pioneering in design, eliminating fugitive dust and product spillages while also minimising clean-up costs as well. The Rotabox™ bulk loading system carries cargo in sealed containers from the mine site through to the vessel hold, with the lid of the specially designed containers lifted once it is low in the vessels hold. It is capable of lifting a 31-tonne payload and works by loading small to medium-sized parcels into bulk or general cargo vessels, with a tipping frame that rotates the container and discharges bulk material into a ship’s hold. Part of the technology also involves the use of a purpose-built half-height container to optimise material flow, while the light-weight container rotating frame is also used with ship or shore-based cranes. Rotabox™ was developed to meet the requirements of companies seeking a low-cost and environmentally sustainable solution for mineral concentrates and ores. 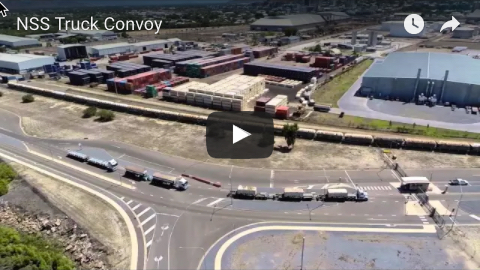 It was also given the award for best dust control technology, application or practice at the Australia Bulk Handling Awards for providing effective control over dust from handling bulk materials. Benefits include its simplicity in operations and maintenance, a decrease in product losses throughout the export and supply chains, environmental friendliness and lower operating costs. Along with minimising product loss and degradation, multiple crane and Rotabox™ combinations also boost productivity, decreasing operating costs at the same time.